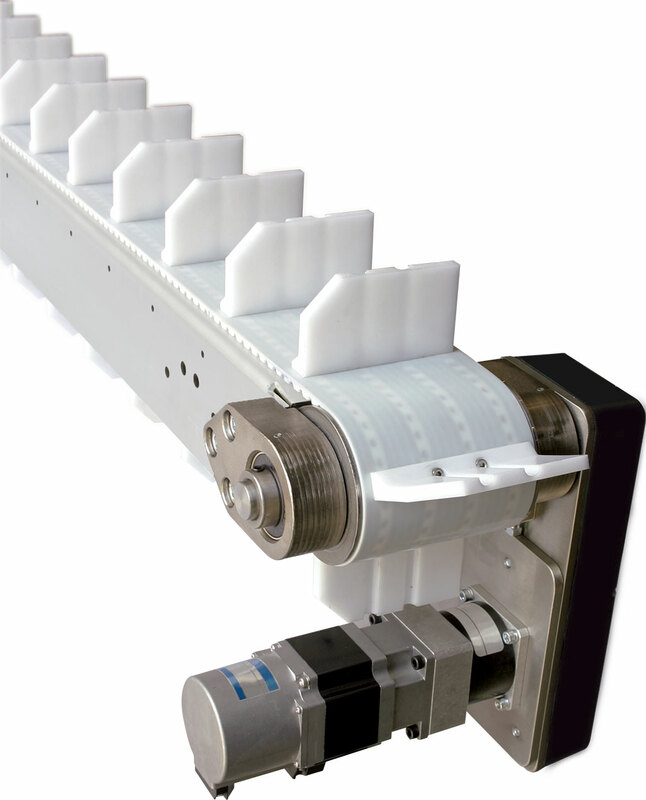 The “Smart Conveyor™”, a low-profile timing-belt conveyor, reaches speeds of 2,000 fpm. Custom molded cleats can be integrated with specific parts or applications. The design is suitable for precision indexing, high cycle start-stop, rapid cycling, synchronous movement, ramping up and down, reversing, elevating, and side exiting applications. Nylon coated belt carcass to reduce friction and minimize noise. 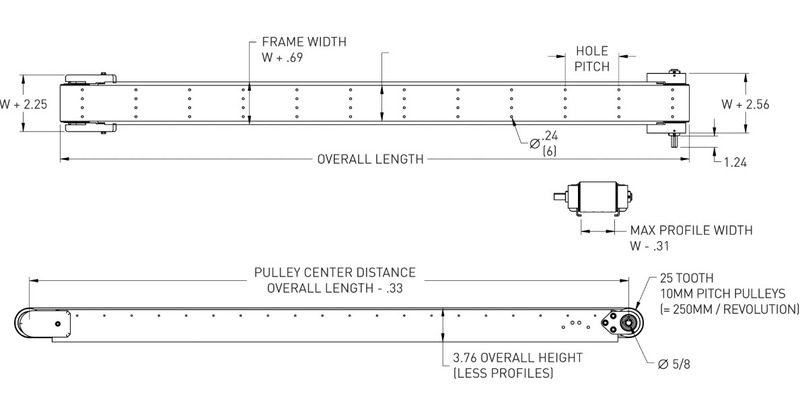 Ability to run multiple bands of belting on one conveyor. Timing belts are steel or Kevlar reinforced to offer high load carrying capacities, reduce stretch and allow for precision cleat or profile placement. 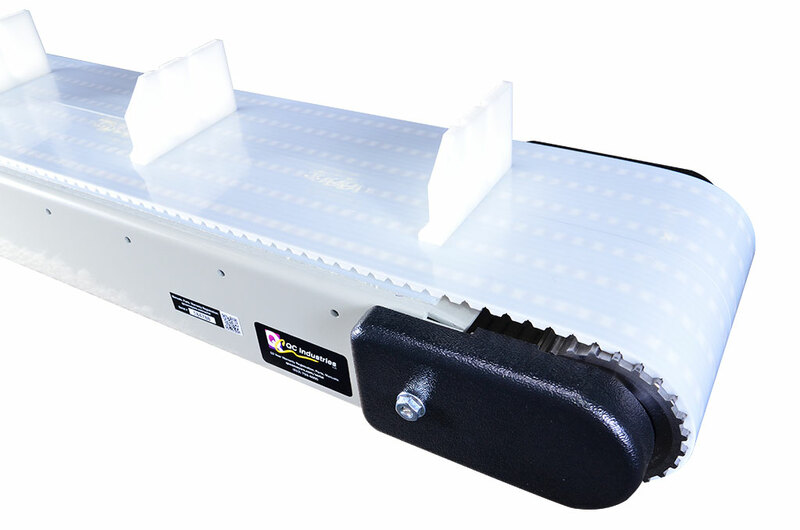 Less than 5-minute belt change without removal of drive package or guide rails. Custom molded cleats to integrate perfectly with your part or application. Cleats are high frequency welded to the belt. Widths 2″ to 18″ and lengths up to 24′ (Special widths and lengths available). 10 gauge steel frame. High impact resistant single piece formed powder coated.